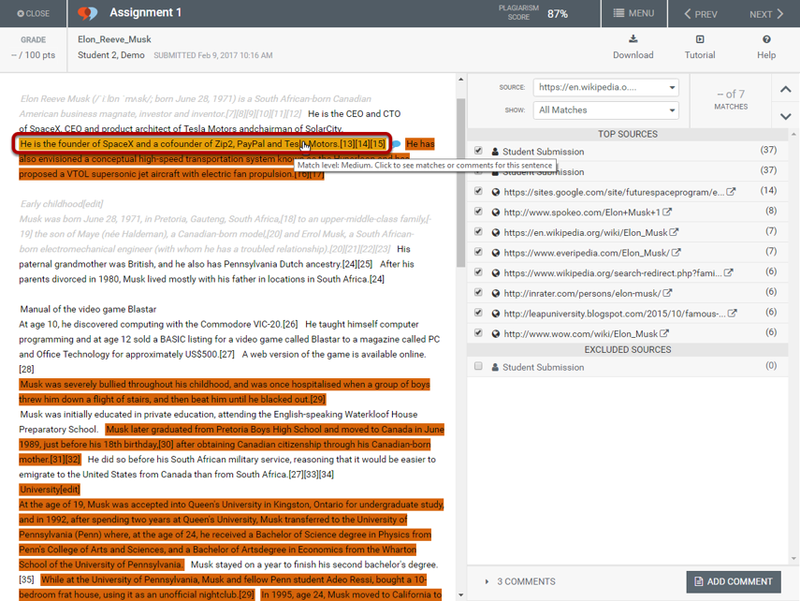 VeriCite DocumentationUser GuidesBlackBoard User Guide Instructor ArticlesHow do I add a comment to the report? 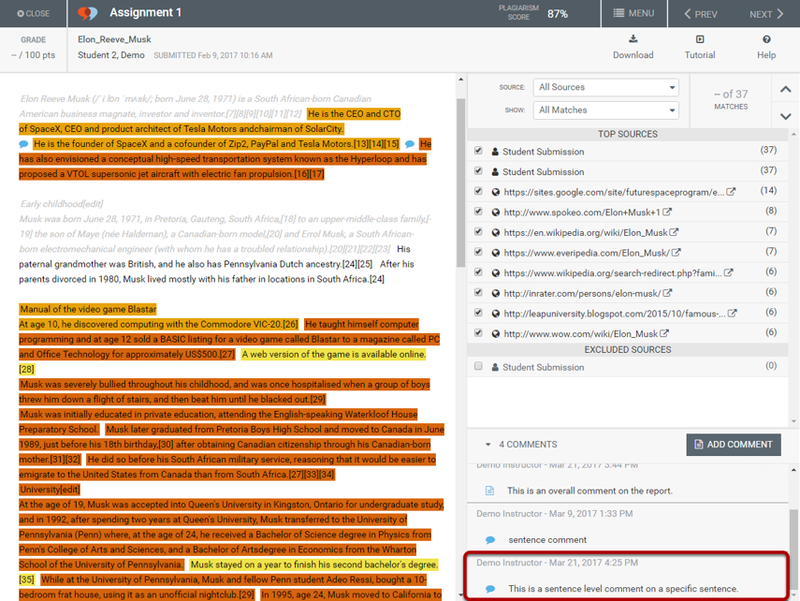 You may add report level comments or sentence level comments in VeriCite. 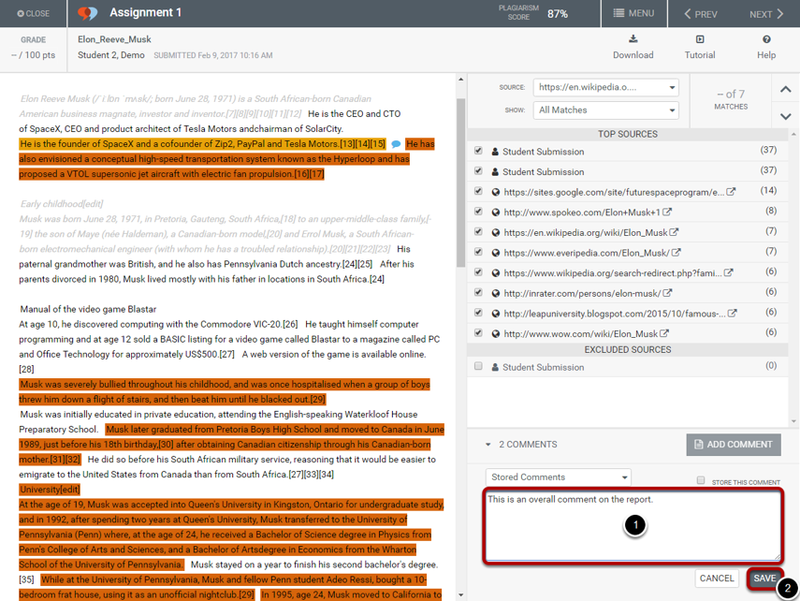 To add a report level comment, make sure that you have not selected a particular sentence. Click the Add Comment button. Zoom: Click the Add Comment button. Enter your comment into the text entry field, and then Save. Zoom: Enter your comment into the text entry field, and then Save. (Optional) Store the comment for later reuse. Zoom: (Optional) Store the comment for later reuse. If you would like to save your comment for easy reuse, check the box next to Store This Comment. 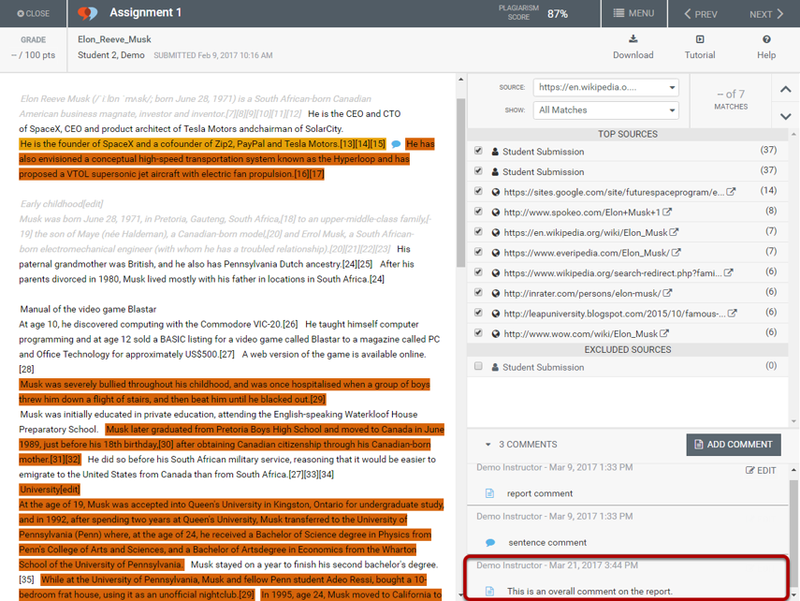 Stored comments are available for selection from the drop-down menu above the text entry field. If you would like to reuse a stored comment, simply select it from the menu. 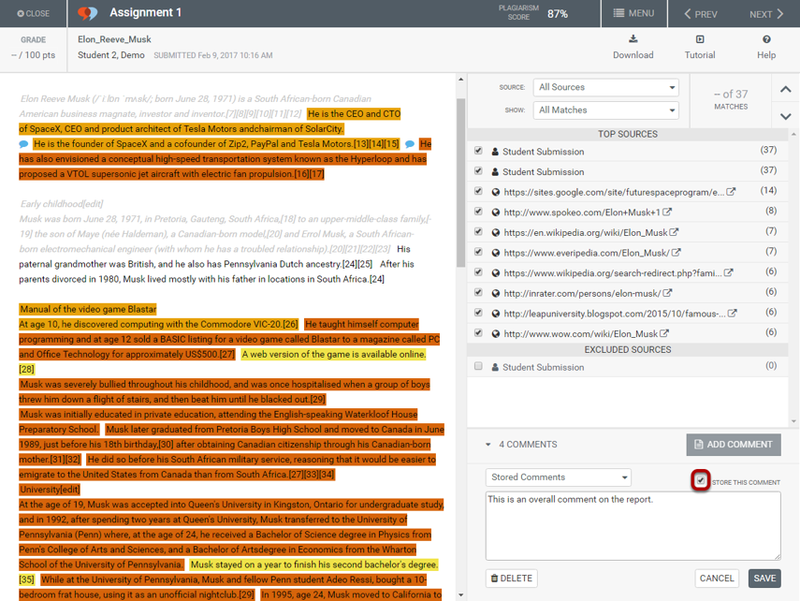 The comment will display in the comments section with the report icon to indicate that it is an overall report level comment. Zoom: The comment will display in the comments section with the report icon to indicate that it is an overall report level comment. 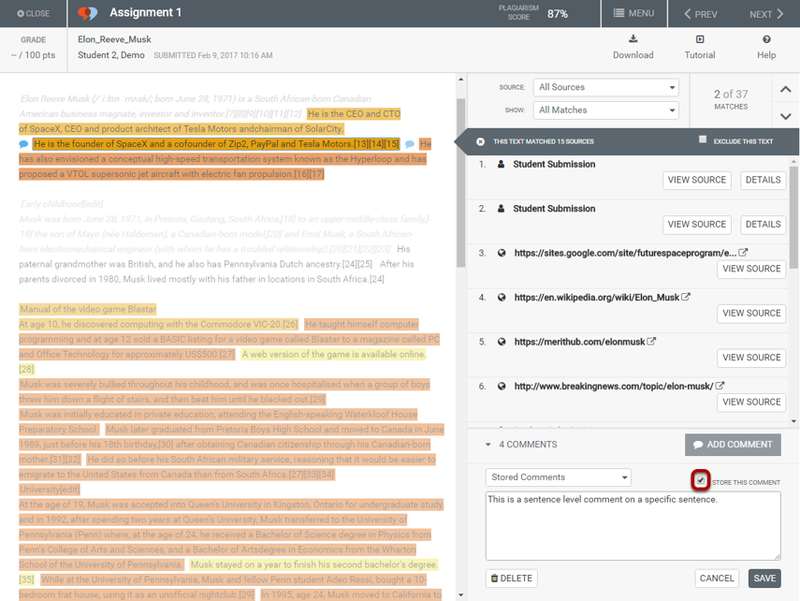 To add a sentence level comment, first select the specific sentence on which you would like to comment. 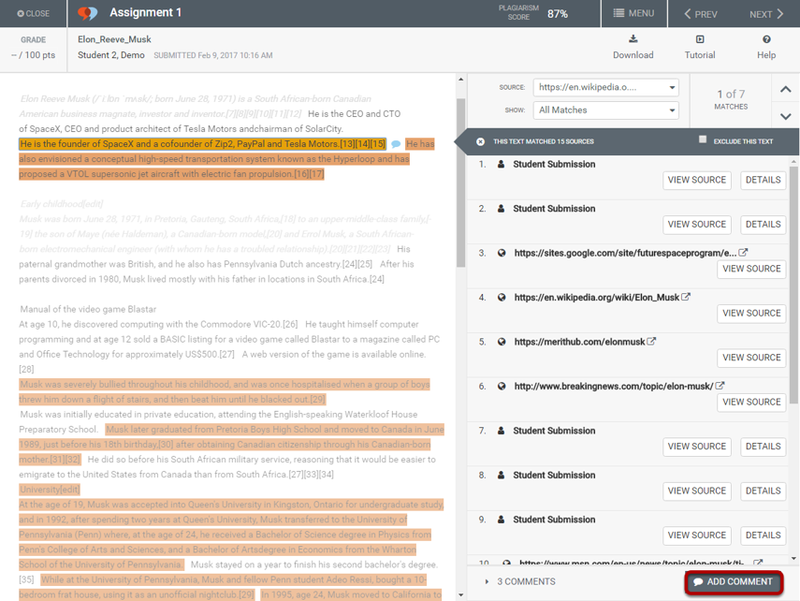 Click on the sentence in the student submission text area. 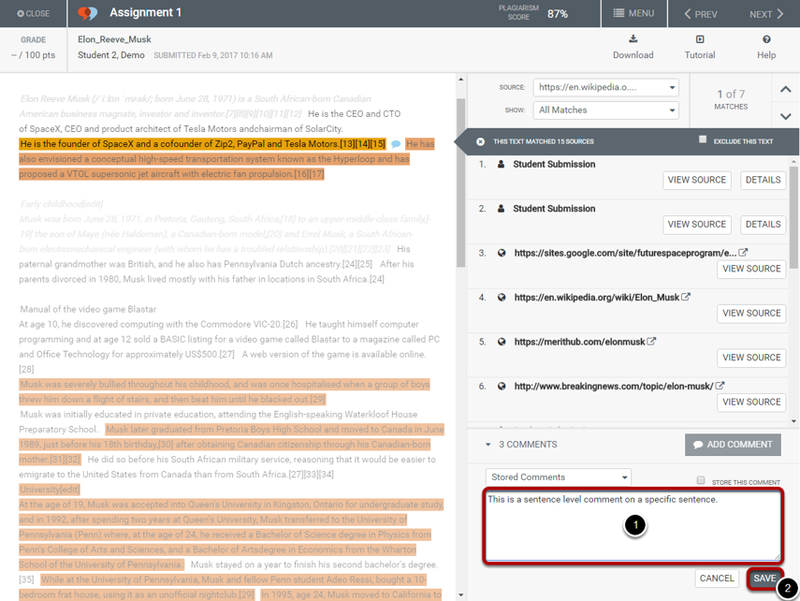 Zoom: Click on the sentence in the student submission text area. The comment will display in the comments section with the sentence comment icon to indicate that it is an individual sentence level comment. Zoom: The comment will display in the comments section with the sentence comment icon to indicate that it is an individual sentence level comment. Next: How do I edit an existing comment?